Many things in fashion, we often just accept as what they are. The when, we place as the current moment in which we saw something, or perhaps relate it to a time in the past when a similar trend existed. The who, is the creator of the garment. The how, is the fabric, the technique. The where, comes from the city in which it is being shown, or where it was made. But have you ever stopped to wonder about the why of fashion? Earlier this evening, I attended a lecture at Toronto’s Bata Shoe Museum about Yves Saint Laurent, given by Laurent Cotta of the Galliera in Paris. It was an evening of many oohs and aahs, as Monsieur Cotta shared his passionate knowledge of the beloved designer and his creations – someone he described as being synonymous with France. The talk included many anecdotes and interesting tidbits. I’ll share my notes with you in the form of future posts, as they trickle into tangible thoughts. One interesting thing I learned tonight was about one of the most famous photographs in fashion. 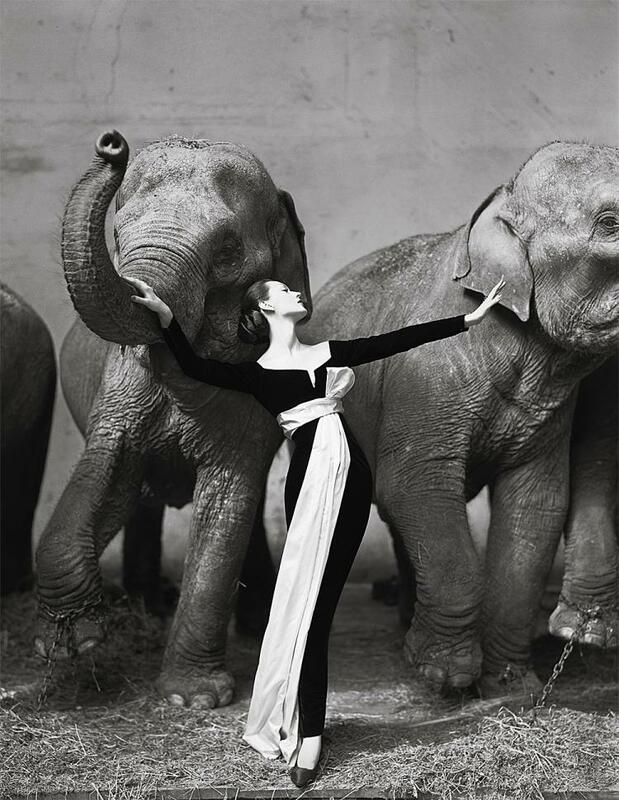 Of course, I knew of Richard Avedon’s iconic Dovima with Elephants series. 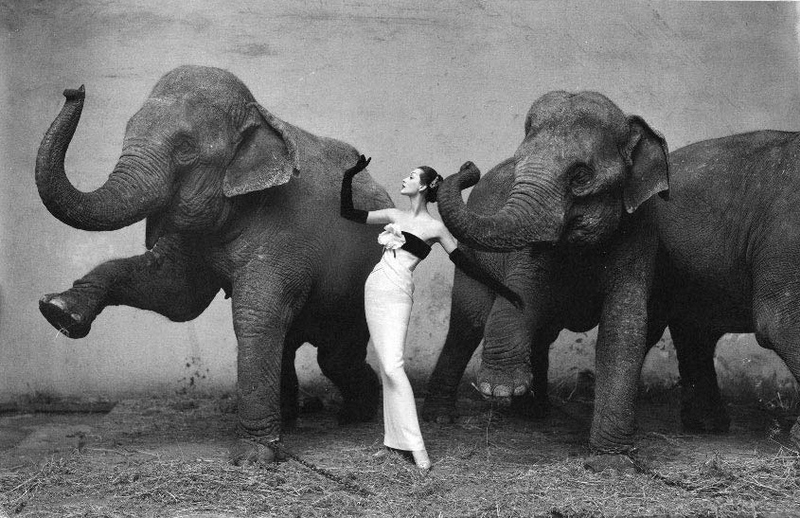 Dovima with Elephants by Richard Avedon. I knew, too that it was a Dior dress, as only the divine Dovima could wear. I was aware that Saint Laurent had started his career as a designer at Dior. What I didn’t know was that this particular Dior dress was designed by Yves, when he was Monsieur Dior’s assistant. And while the pose is certainly memorable (there is no other Dovima, after all), I didn’t ever equate it to being in the shape of a Y. Well, it is – and now you know precisely why. 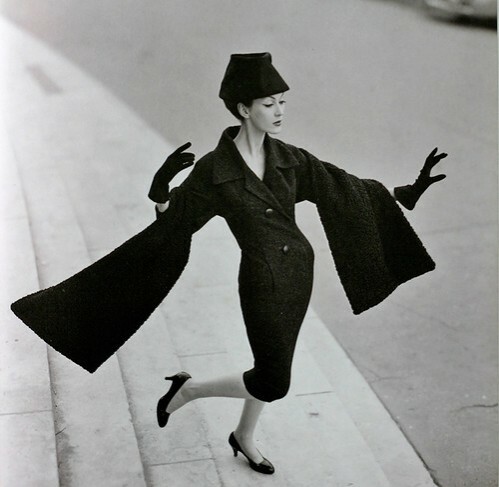 Another photo of Dovima by Avedon, from the same series. Dovima in more Dior, designed by YSL. It was also apparent during the course of the lecture – and really, has been, throughout my lifelong admiration of fashion – how much YSL has influenced the designers who followed. I’ll write, in future, about specific style elements that we can thank Monsieur Saint Laurent for. The point, however, was emphatically reinstated before me, a few moments ago. With tonight’s lecture still floating through my thoughts, I logged on to my laptop and searched through the day’s images from Wills Lifestyle India Fashion Week in Delhi. 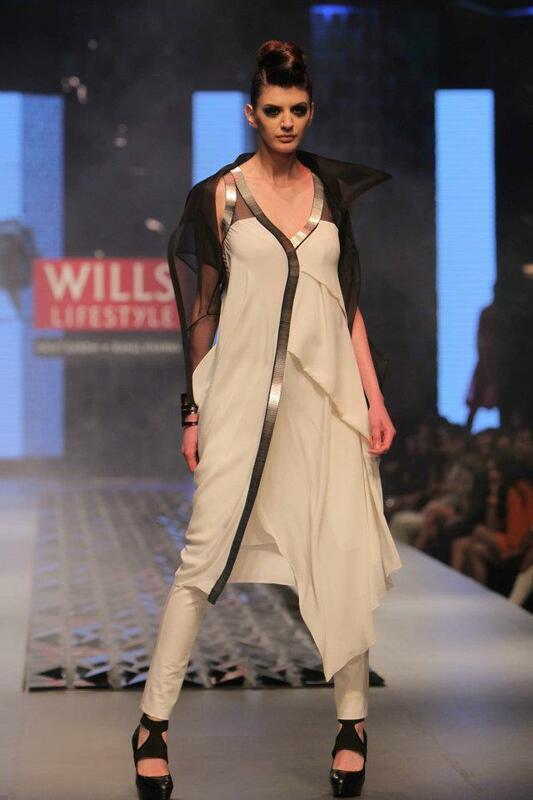 As I flipped through the grand finale show snaps, featuring one of my fave design duos from the Motherland – Rohit Gandhi and Rahul Khanna, I couldn’t believe what I was looking at. The Ys have it - that's the finale word. Images: Avedon white gown image via Mizzenmast.Fr; black gown image via The Epoch Times; Dovima on steps via Visualize.me; runway shot courtesy of WLIFW.